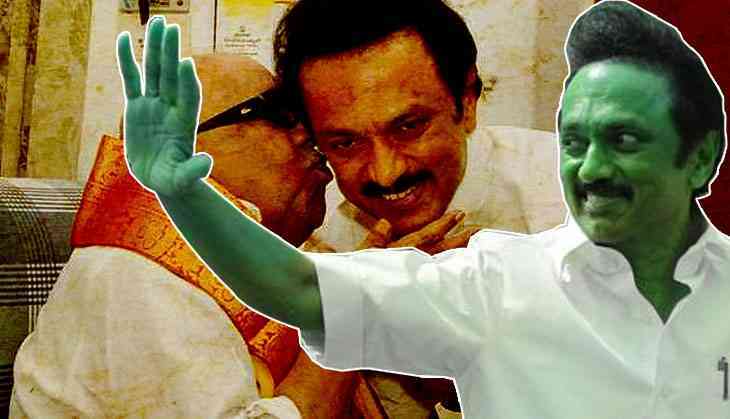 The Dravida Munnetra Kazhagam (DMK) has got its official boss MK Stalin as new president after the death of his father and DMK president M Karunanidhi today. After being elected as a DMK chief, MK Stalin pays tribute to CN Annadurai and M Karunanidhi. Meanwhile, principal secretary Duraimurugan was appointed as the new treasurer of the party. A total of 1907 party leaders and workers had either proposed or seconded Stalin's name for the post. Duraimurugan garnered support of 252 persons. Stalin had filed his nomination papers on Sunday. He was appointed 'working president' of the party in 2017. This elevation comes at a time when expelled party leader and Karunanidhi's elder son, MK Alagiri, claimed that the loyal supporters of his father are behind him.